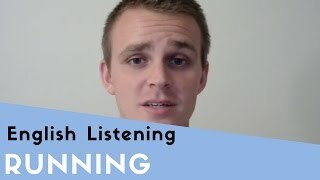 Improve your English listening and speaking skills with these lessons and videos. In this video we'll learn how to perform the "moonwalk" dance, made popular by Michael Jackson. What do you usually do in your free time? In this free English video an Australian man talks about what he usually does in his free time. In this free advanced English video clip a Canadian woman talks about her favourite sport, ice hockey, and her favourite team, the Vancouver Canucks. 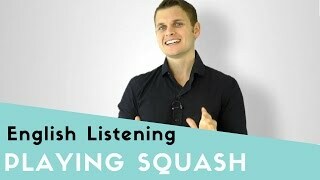 Listen to an English man talk about his favourite sport, squash. When, where, and who does he play it with? A Canadian woman talks about the most impressive game of ice hockey that she's ever seen. 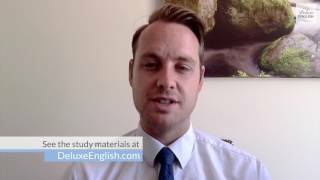 In this free advanced American English clip, a young man explains why he loves running and jogging. How do you play ice hockey? What are the rules? In this free advanced English video, a Canadian woman briefly explains the rules of ice hockey. 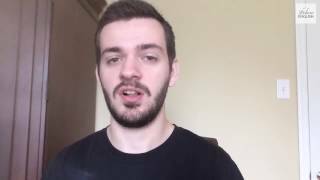 A young American man explains why soccer (football) is his favorite sport. 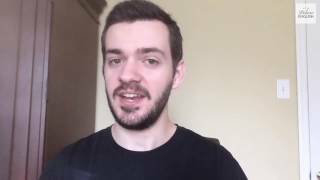 A young man talks about why Liverpool Football Club is his favorite soccer / football team. 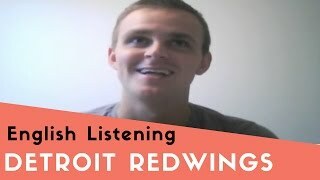 In this free learning English video, an American man talks about why his favorite sports team is the Detroit Red Wings hockey team.